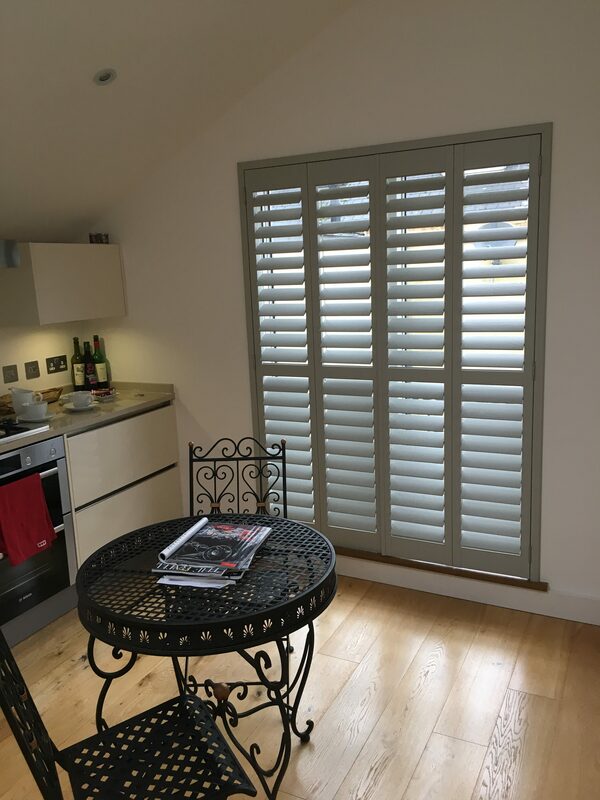 Whilst the majority of our clients opt for shutters with ‘Slats’ for the obvious benefits of light control and privacy, we also find that there is a definite need to offer something that presents a more traditional feel… That’s where Solid panels shutters come in. 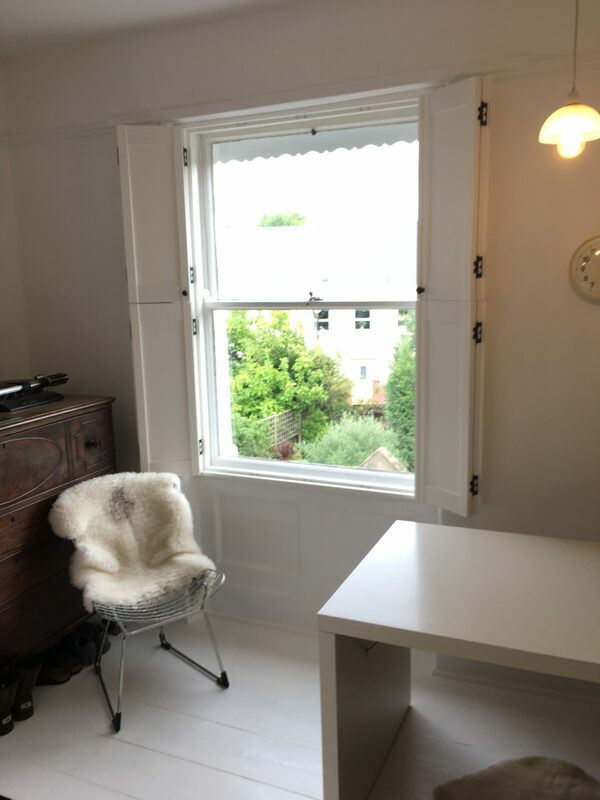 On sash windows it’s possible to create a Tier on Tier design which enables a great array of different settings for practical living whilst retaining a period style look. 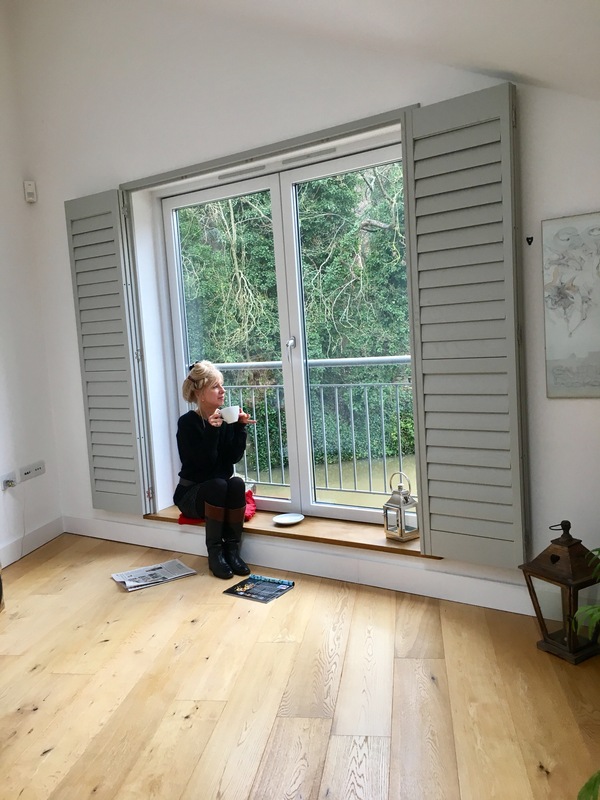 With a great degree of flexibility in design options, French Door Shutters offer multiple options for dressing what is very often the key window within many homes. 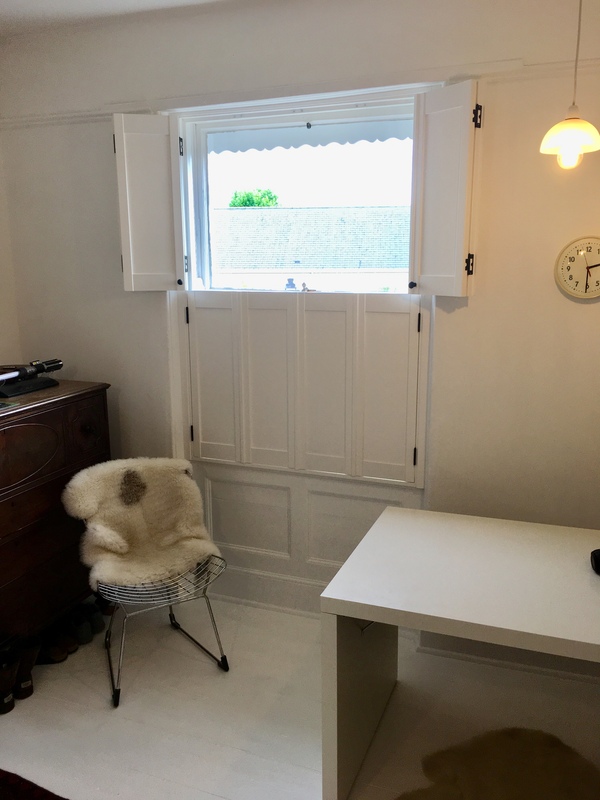 There are possibilities for bi-folding panels that can be folded completely ‘back to wall’ which offer great space saving within a room or panels that are installed ‘into the window’ and can be folded back to sit perfectly within the recess. 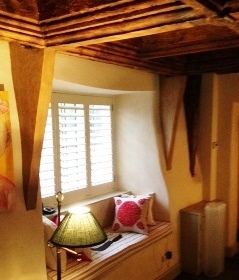 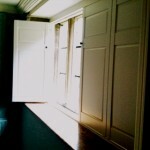 Division of slats top and bottom for multiple settings to reflect light control/ privacy, and an array of colours. 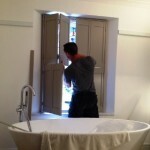 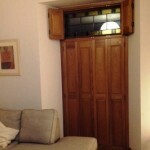 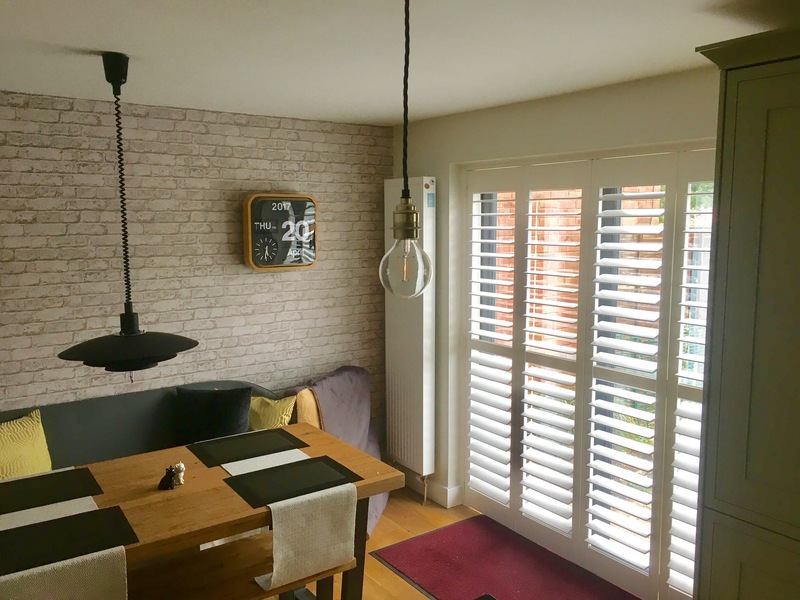 We’ve come across many Shutter clients who live in listed buildings and they will often ask if there are implications to installing our shutters. 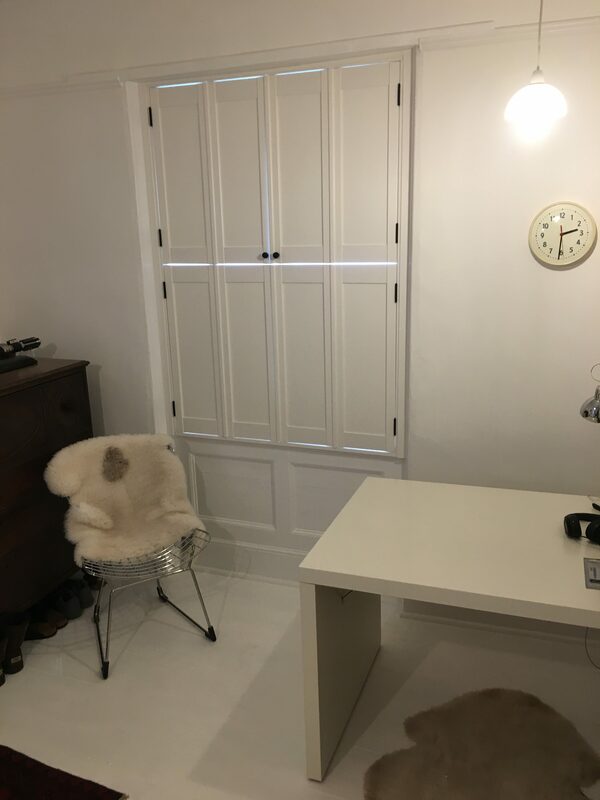 Whilst the majority of the shutters that we work with are of the Louvre style there is always an option to use SOLID PANEL SHUTTERS as a great alternative. 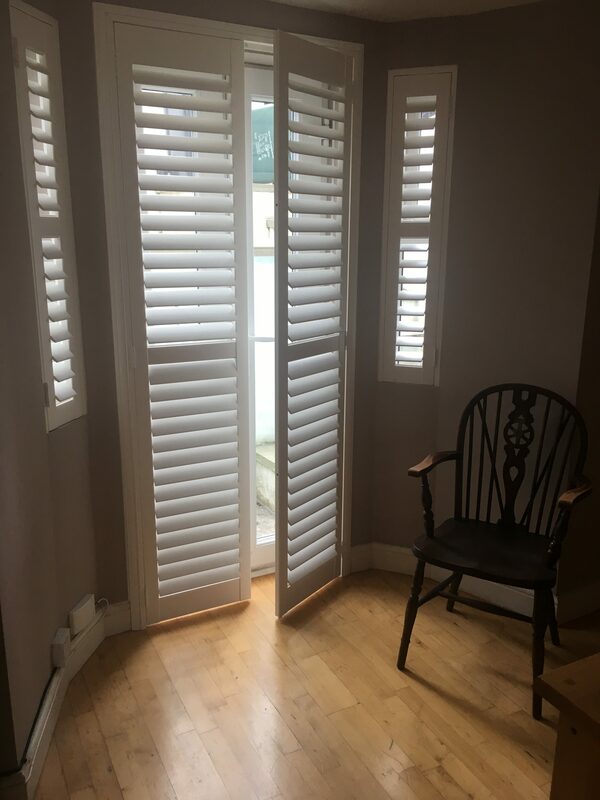 Constructed in the same hardwood timbers as our classic shutters they are just perfect for clients who wish to retain a traditional feel, within their homes. 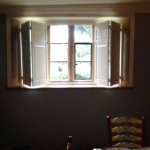 They work very well indeed as both ‘tier on tier’ or as full height panels and most definitely bring a classic ‘period style’ to windows within older/listed properties. 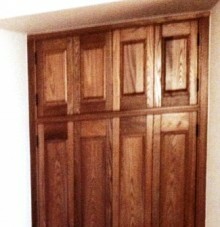 These ones are in Elm timber in light oak stain finish.. we love’em!